Grâce à la richesse de sa collection de photographies, le Centre Pompidou propose une présentation thématique de la célèbre série Graffiti du photographe français d’origine hongroise. L’exposition replace la série dans le contexte de la fascination pour l’art brut d’artistes et écrivains proches de Brassaï : Raymond Queneau, Jean Dubuffet, Pablo Picasso, Jacques Prévert, notamment. Des documents enrichissent cette présentation inédite offrant au public d’en approfondir la compréhension et l’écho. 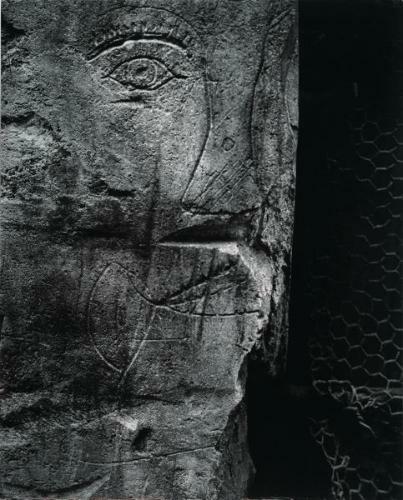 “These concise signs are nothing less than the origin of writing, these animals, monsters, demons, heroes, these phallic gods, no less than the elements of mythology.” These are the words of Hungarian-born French photographer Brassaï, commenting in 1933 on the first publication of some of his pictures of graffiti on the Paris streets in Minotaure magazine. The “Graffiti” series, on which Brassaï worked for more than 25 years, includes several hundred photographs, some still little known. Featuring works both published and unpublished, the exhibition at the Centre Pompidou’s Photography Gallery offers a closer look at this series of photographs and its reception by the artists and writers among Brassaï’s friends, notably Pablo Picasso, Jacques Prévert and Jean Dubuffet. A wanderer of nocturnal streets, the newly arrived Brassaï took an immediate interest in the working class culture and “disreputable” neighbourhoods of the French capital. He was the first in the history of modern photography to intuitively understand the camera as an instrument of urban dissection. He focussed on the drawings, signs and doodles inscribed on the walls of the city. As in his images of cobblestones, his framing is tight, closing in on detail and drawing attention to a seemingly unimportant object – as he had also done with Dalí’s involuntary sculptures. These rules once established, Brassaï embarked on the production of a systematic record that over the years would come to form a catalogue of the traces left on the walls by the city’s inhabitants, a picture book of a certain popular culture. Published for the first time during the burgeoning Surrealism movement, these photographs of found drawings were understood as an expression of the capital’s unconscious. For exhibitions in the 1950s and publication in the book Graffiti in 1961, they were categorized in accordance with a typology of the photographer’s own devising, which situates his work in the context of a reinvigorated ethnology and an emergent sociology of everyday life. Able to draw on the Centre Pompidou’s exceptional holdings of the “Graffiti” photographs, the exhibition casts new light on these images, setting them in the wider context of the fascination exerted by popular art on certain artists and writers concerned with the origins of artistic creation. Thanks to works loaned by the Brassaï Estate and by private collectors and other institutions, the exhibition shows how certain prints from the series were reused by artists: incorporated in collages, employed as illustrations for poetry collections or set in dialogue with sculptural or graphic works. L'exposition Brassaï s'écoute aussi sur Soundcloud !